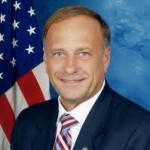 U.S. Rep. Steve King, has described the federal stimulus bill as a “non-stimulating boondoggle of liberal pet-projects and wasteful spending.” And in February of 2009, he was joined by his fellow Iowa Republicans – U.S Rep. Tom Latham and Sen. Chuck Grassley in voting against the bill. But that hasn’t stopped them from scrambling to secure for their districts a slice of the $275 billion in competitive federal contracts, grants and loans included in the bill. According to a cache of letters, obtained by the Center for Public Integrity, six of Iowa’s seven congressmen, regardless of their stance on the stimulus, have promoted projects funded by the bill. The bill, officially known as the American Recovery and Reinvestment Act, allocated $787 billion to jumpstart a belabored economy and create roughly 3.5 million jobs. A $1.9 billion chunk of that funding went to Iowa, and congressmen from both parties claimed kudos for bringing money and jobs to their districts – an action criticized by anti-spending groups and challengers in the mid-term elections. “We can’t say we’re for limited government for everyone except ourselves,” said Mike Connelly, communications director for the Club for Growth, a conservative political action committee. The letters shed light on the common process of lettermarking, the use of behind-the-scenes correspondence to endorse district projects. The Iowa letters reveal how the desire to bring money to constituents can trump party politics. The six lettermarking congressmen — including U.S. Senator Tom Harkin and U.S. Rep. Boswell and Rep. Dave Loebsack, all Democrats — all supported one project, the Iowa HealthNet Connect Initiative. The proposal sought to advance rural health care and expand a broadband network between hospitals and clinics. The GOP Pledge to America argues that stimulus spending cannot create jobs. But all six Iowans, Republicans included, endorsed HealthNet as a method to create 750 high-tech jobs. Beyond HealthNet, the use of lettermarking varied. Here is a breakdown of each Iowan’s involvement. Grassley voted against the stimulus bill not out of principle, he has said, but because of its specifics and the way it was passed. “I oppose this bill because it’s not biapartisan,” he said in a video posted on his Youtube page the day he cast his vote. “I favor the portion of the spending that is stimulus – what would be buildings and highways – because those are ongoing programs” he said. But in April 2009, Grassley wrote a letter in support of a four-year project with few prospects for direct job creation. In the letter, he asked Betty Nolan, a senior advisor with the U.S. Department of Energy to “give all due consideration” to a $2.6 million request from Harlan-based Iowa Agricultural Biofibers that would fund bio-fuels research. The Department of Energy did not invite the company to submit a full application. Four months later, Grassely, wrote another letter to Nolan, this time supporting a project that could create jobs – the design, construction and operation of a $45 million large wind turbine testing facility at the University of Iowa Research Park. Also, during that time, Grassley peppered the Office of Telecommunications and Information Administration with four letters – two joining his fellow colleagues in support of HealthNet, and the others backing the application of Cedar Falls Utilities in the same Broadband program. Multiple calls and emails to Grassley’s offices seeking comment were not returned. In February, spokeswoman Jill Kozeny responded to questions about Grassely’s support of stimulus-funded projects despite his opposition to the bill in a Washington Times article. 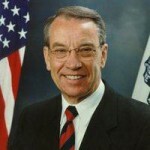 The article mentioned two of Grassley’s letters. “If the funds are there, Senator Grassleys going to help Iowa, rather than some other state, get its share,” she said. Questions over Grassley’s nay vote on the stimulus have not played a prominent role in his race against Democratic Challenger Roxanne Conlin. Though Conlin has said she supported the bill, she has also said she would not support a second stimulus. But Conlin has been critical of Grassley’s endorsement of tax cuts for the wealthy. And Grassley’s camp has repeatedly accused Conlin and her husband of using $1.28 million in stimulus money to renovate and acquire an apartment building they already owned. King’s participation in the lettermarking of stimulus funding was limited to his promotion of HealthNet in two different letters. However, he repeatedly took credit for federal stimulus funding channeled toward widening U.S. Highway 20. In a June press release, King claimed U.S. 20 construction as his “number one transportation priority.” Roughly $5.7 million, nearly a quarter of the $26 million project, came from stimulus money. On his campaign website, challenging Democratic candidate, Matt Campbell said he would support stimulus spending and criticized King for taking credit for highway funding supplied by a bill he voted against. King’s office did not respond to repeated requests for an interview. 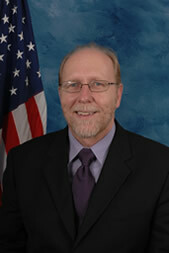 Latham opposed the stimulus bill. In a statement following the bill’s approval by Congress, he called it “selfish” due to the burden it placed on future taxpayers. He has argued that it failed to provide enough funding for infrastructure projects. Despite opposition to the bill, Latham sent off letters supporting three different programs: HealthNet, Ames Intermodal Transport Hub, and an Indianola Municipal Utilities geothermal demonstration project. The Ames facility would serve as a hub for inter-city buses and a shuttle service, as well as provide parking and a bike path. The application for the facility sought about $39 million from Transportation Investment Generating Economic Recovery funding, but received roughly $8.5 million. According to Latham’s letter, original plans for the hub would provide over 500 short-term jobs, nearly 500 long-term jobs and bring $50 million into Central Iowa’s economy. Latham also wrote in support of a $1.1 million request from Indianola Municipal Utilities, an Iowa company that wished to build a large-scale geothermal project. According to the letter, the project would decrease costs of heating and cooling, promote rural development and create jobs. The project did not win federal funding. Latham’s Communications Director, Fred Love defended letter writing. The congressman’s policy is to send letters on behalf of his constituents, Love wrote in an email, adding that Latham lends his support regardless of the source of the funding. “Congressman Latham’s top priority is representing his constituents and responding to their needs and requests,” Love wrote. In the mid-term election, the gap between vote and action has been cause for criticism from challenging Democrat Bill Maske, who repeatedly criticized Latham for voting against the bill then taking credit for funding. Harkin, who is not up for reelection until 2014, voted for stimulus bill, but said he was disappointed with it. The final bill allocated about $6 billion for school construction, down from the $79 billion approved by the House and $39 billion passed in the Senate. Harkin wrote three letters requesting stimulus funds – all in support of broadband technology projects in Iowa. 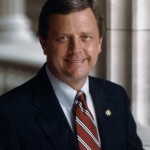 Boswell supported the stimulus bill, but with reservations. In his statement released on the passage of the bill, he revealed concerns with the cost of the package, but argued it was impossible to sit on the sidelines. Boswell’s only letter is written in favor of HealthNet. His office did not respond to multiple phone calls and emails. In Iowa Public Television’s Oct. 15 debate between the two candidates, Zaun said he did not support stimulus funding, which rewarded “states, schools and counties for bad behavior.” Boswell defended his vote. He admitted the economy was still weak, but said the 2009 stimulus prevented the situation from sliding further downhill. 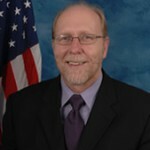 Loebsack, who supported the stimulus bill, wrote a letter in favor of the Iowa HealthNet Connect Initiative.